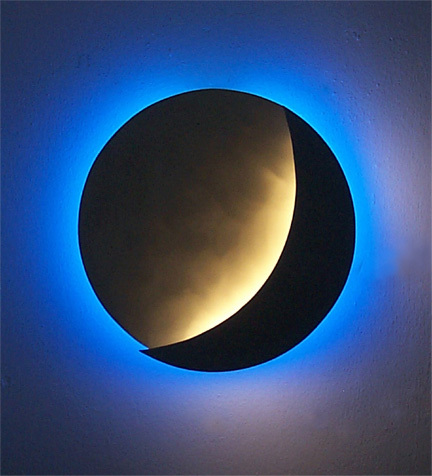 size: 16" x 16" x 4"
The moonDisc consists of a round disc of brushed aluminum back lit with blue neon and a frontal brushed aluminum crescent "moon" with a sandwiched white neon tube casting its glow on the aluminum disc. 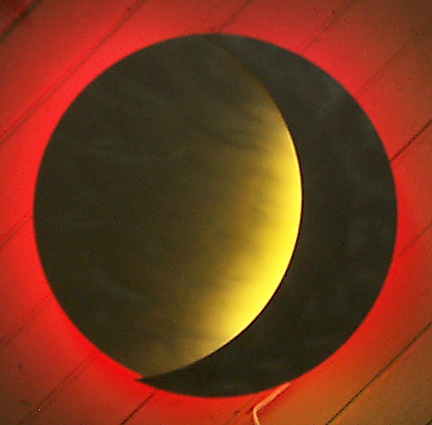 A popular sconce, it offers a pleasing and romantic glow that complements the living environment. Other colors of neon (including different shades of blue) are also available.